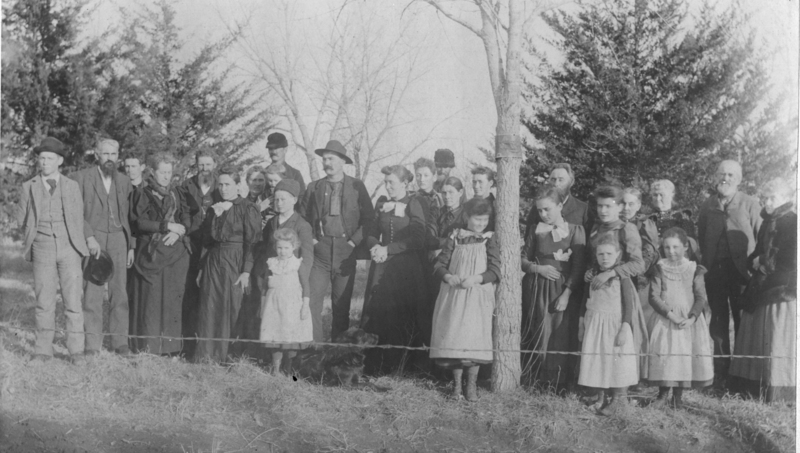 Caption: Taken Jan 1, 1894 by J. B. Williams, North Loup Neb. at New Year dinner at Frank Matts. This photo was taken prior to the one above. Oscar Babcock - about 1/4 the way from the right looks much younger. 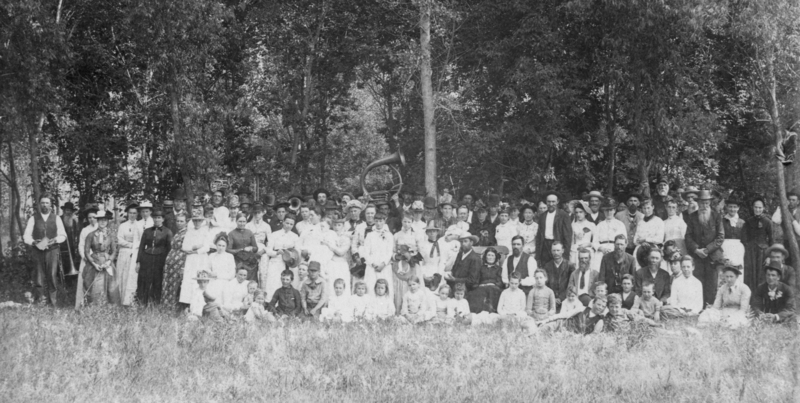 Photo taken July 4, 1923. From Left to right. Mrs. Floyd Hutchins and Levern Carrol Hutchins. 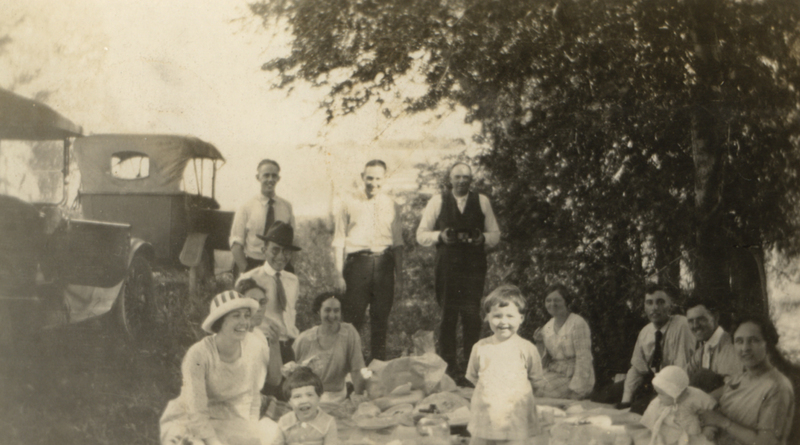 Picnic, Fall 1920, Lincoln, Nebraska. Standing: Henry Black, Geo. Gowen, E. C. Babcock. Oscar on knees. 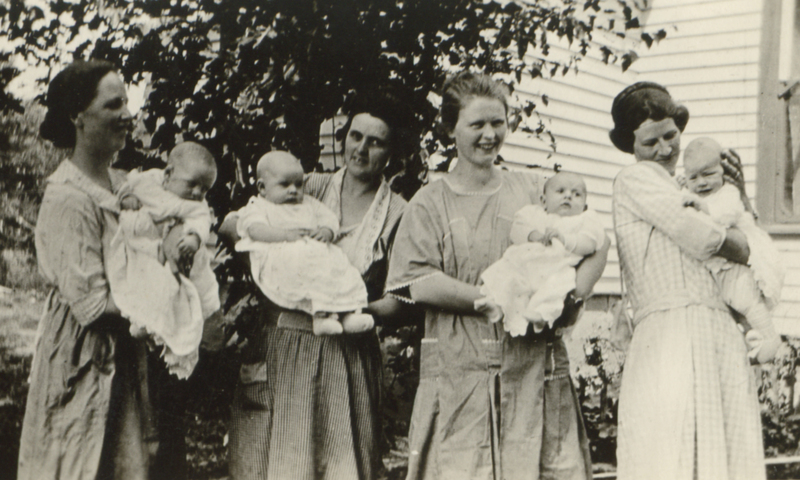 Children: Homer Everett Van Boskirk in front, Olive Van Boskirk and baby Lealand Van Boskirk. 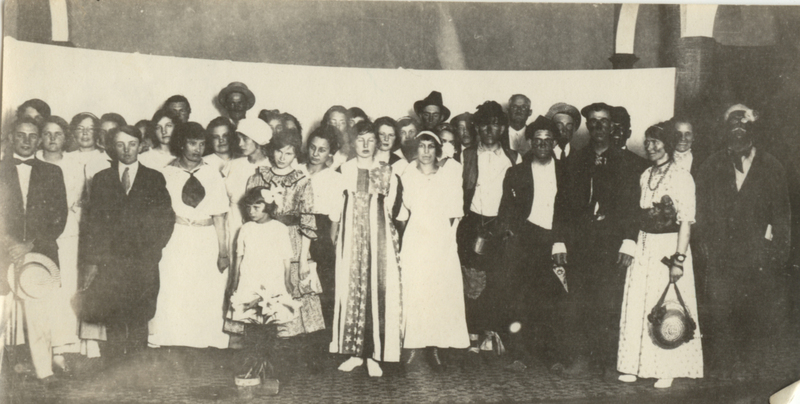 Party at E. J. Babcock's 1920 or 1921. 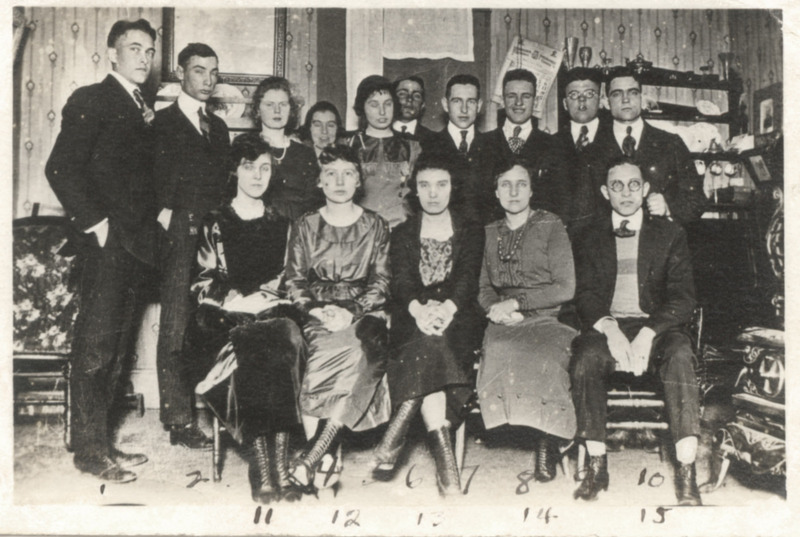 #2 - George Gowen, his wife Addie standing next to him. 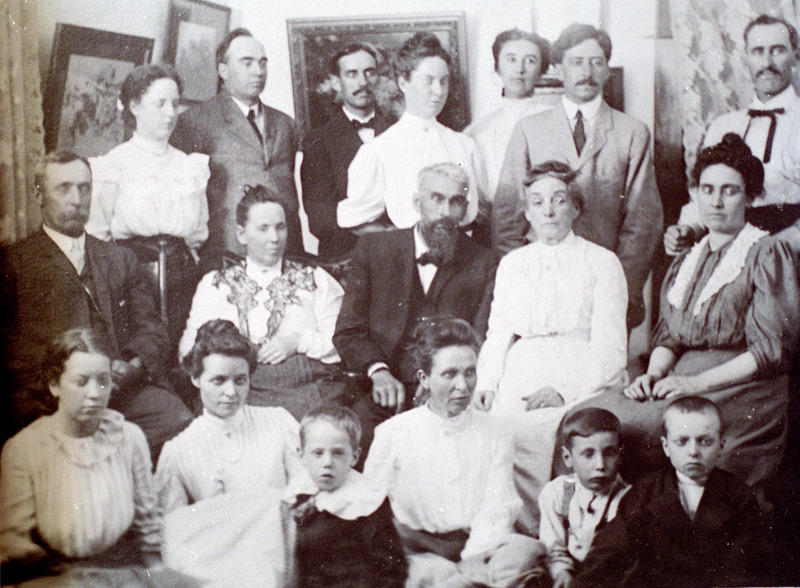 Nola Gowen second row, center of photo. Group photo. 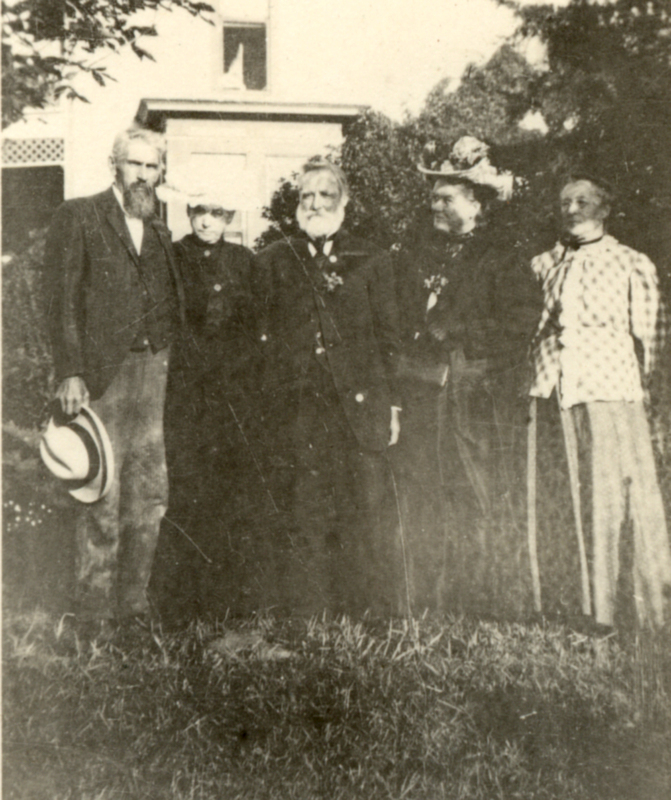 Oscar Babcock in center.